There are some weekends where I find myself looking through our pantry to see if there’s anything that I can use for baking. I found a can of whole cranberry sauce left over from Thanksgiving and decided to give that a whirl. After a (pretty short) search on the internet, I found this recipe, from Cook the Story. Enjoy! 2) In a large bowl mix together the oats, flour, brown sugar, baking powder, baking soda and salt. Use your fingers to rub in the butter until everything is moistened and no pieces are bigger than the oats. 3) Spoon three-quarters of the oat mixture into a 13″x 9″ cake pan. Press down on it firmly to form a firm layer that evenly covers the bottom of the pan. 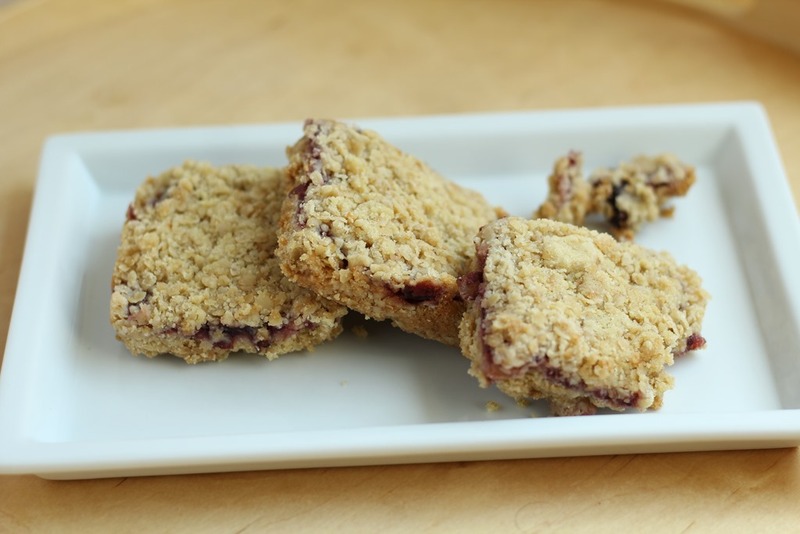 Add the cranberry sauce in dollops and spread it in a thin layer over the oat layer. Sprinkle with the remaining oat mixture. 4) Bake for 25-28 minutes. 5) Allow to cool in the pan on a wire rack. Cut into 8 strips along the length of the pan and 3 strips along the width yielding 24 bars. 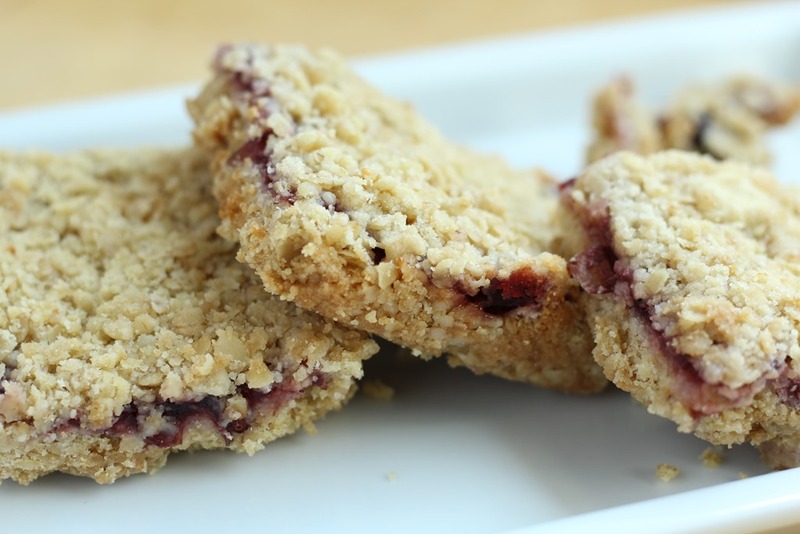 They are super crumbly but oh so delicious! What’s the most creative thing you’ve baked with items in your pantry?